Jim began his role as Interim Proclaimer in January of 2018. 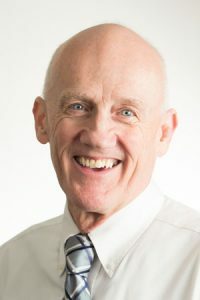 Over the years, Jim has served as pastor of several churches and as Interim Pastor for many congregations, including a past tenure as Interim at Highland. Jim also serves as a pediatric chaplain with Hosparus where he specializes in offering care to children and their families. Jim’s primary responsibilities involved preaching and participating in worship planning.